The graduating class of Ellis Prep Academy in the Bronx, has a tradition. 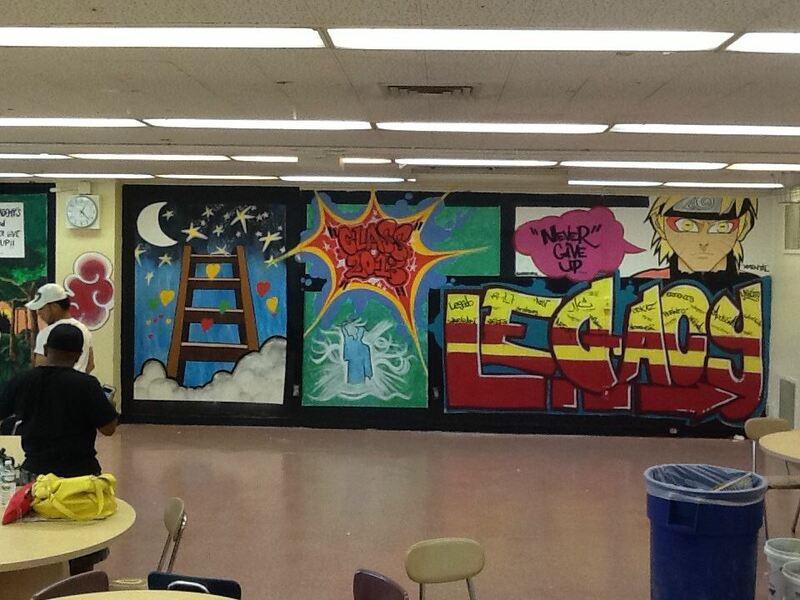 They create and paint a mural as a legacy to inspire and motivate their fellow students. Although it is a relatively new tradition, the students were eager and excited to be able to say “i was here.” Xmental was called on to help the students realize their vision. We spent much time choosing just the right incarnation of their hero, and I had to make sure I did him justice. They seemed to have more faith in me that I did. 8 hours later, over the span of two days and the Class of 2013 created images they were proud of and enjoyed making. They learned about painting technique, color mixing and proportions, while I learned that it doesn’t matter what inspires you, as long as you find something that does. 29 Jul	This entry was published on July 29, 2013 at 3:40 pm. 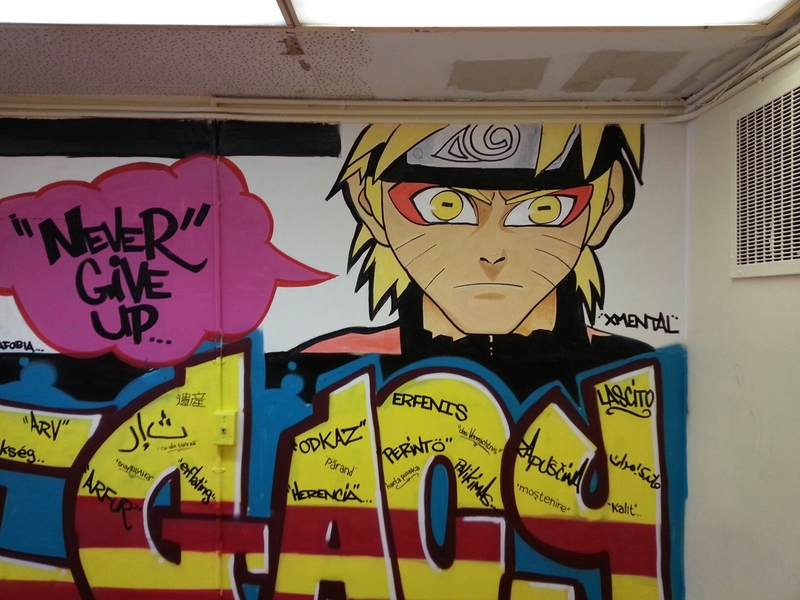 It’s filed under artwork and tagged art, Ellis Prep Academy, graduation, inspiration, legacy, mural, naruto, paint, spray paint, tradition, wall, xmental. Bookmark the permalink. Follow any comments here with the RSS feed for this post.